New official statistics have shown that the North East economy stood stronger against the recession than any other region in England outside of London last year. The Office for National Statistics demonstrated that the average Gross Value Added (GVA) regional economy dropped by 2.2% in the last year. While some areas were hit with a 3.2% decline, the North East and London were least affected with their average GVA just 1.5%. The North East Chamber of Commerce (NECC) said that the figures are proof that the North East is not more exposed than others during a time of extreme economic hardship. Ross Smith, NECC head of policy, said: “NECC has long said that the North East business community is far more resilient now than in previous recessions and these statistics clearly demonstrate this”. Research by carried out by Darlington based marketing company Recognition would seem to support such claims, as their figures show that 10,795 jobs have been announced along with £2.2bn of new investment. At Muckle LLP, we understand the many challenges in the world of modern business. We’ll work closely with you and spend time to understand you and your business in order to find solutions to the legal issues that you face. We act for all types of clients, from start-up businesses to large organizations. No matter the size of your business, we’ve got the expertise you need. 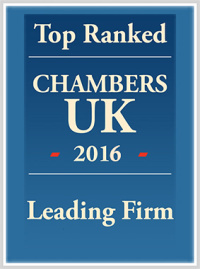 If require commercial legal advice, call 0191 211 7777 or alternatively email us at [email protected].